Experiment Farm: Give me some money, why not? Give me some money, why not? 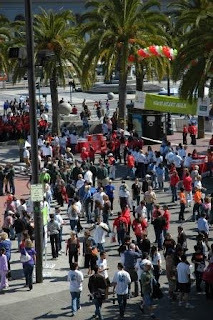 A while back I volunteered to go the SF Heartwalk with my co-workers. I don't technically have to raise any money to participate, but I figure, what the hell? If you feel like giving a few bucks, go to my heartwalk page. If not, that's fine too. Please stop by and say "hi" on you way out because we don't do this for the money, we do it for you... oh wait, I slipped into end-of-the-show "hat speech" mode there for a second.